Scoop up an all-natural snack for you or the kiddos while saving some cash in the process. 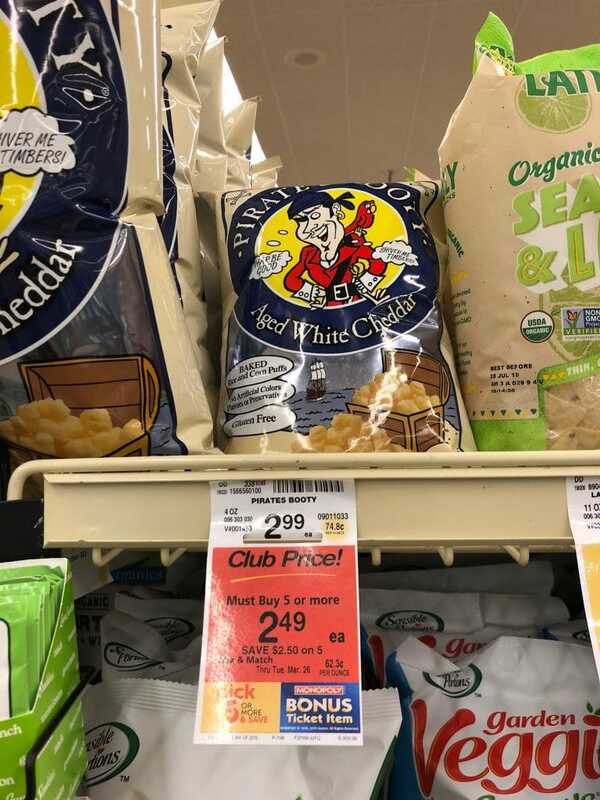 When you shop at Safeway grocery stores through March 26th, pick up a bag of Pirate’s Booty Puffs on sale for $1.49 each when you participate in the Pick 5 (or More) & Save sale. Once you get to the register you’ll use the $0.75/1 coupon located in the January 20th SmartSource insert. After the coupon doubles to $1.00, you’ll end up paying $1.49. That’s going to save you 50%! 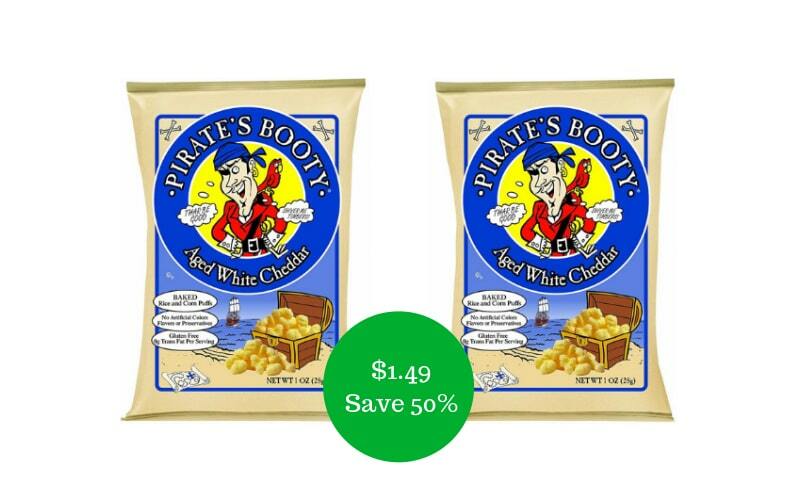 Final price = $1.49, save 50% on snacks!